This is the sixth day since we started discussing on the Operational Forces of life. Remember, we have discussed on five of the seven operational forces of life – Wishes, Opinion, Influence, Authority and Power. Today, I’ll show you briefly how the operational forces of life were evident in the life of Joseph; I want you to follow me closely. Joseph’s dreams were a picture of God’s OPINION about him (His brothers would bow before him), but that did not go down well with his brothers, so they had a bad OPINION of him. (Genesis 37:5-11). Jacob, by the AUTHORITY of a father sent Joseph to his brothers on the field (Genesis 37: 12-14)When Joseph got to where his brothers were, they desired to kill him, but Reuben, by the AUTHORITY of an elder delivered him from their hands, and they cast him into a pit. (Genesis 37: 18-21) Judah later INFLUENCED the brothers to sell Joseph off as a slave (Genesis 37:26-26). After two years in prison, Joseph interpreted Pharaoh’s dream, and Pharaoh the POWER of a King brought him out of prison and made him prime minister of Egypt (Genesis 41: 14-44). Now, it becomes clearer when we say all things work together for good to them that love God, and to them that are called according to His purpose... God has good plans for those that love Him, and He will ensure that His good plans will be made manifest against all odds, making all things, both good and bad, to turn out right for them. What we may not be quick to recognize is the function of the sixth operational force of life – CONTROL! We may not immediately recognize that God sovereignly supervised, monitored and regulated the turnout of events. Beloved, when things look like they are turning upside down, as a child of God, just remember that God is in control! 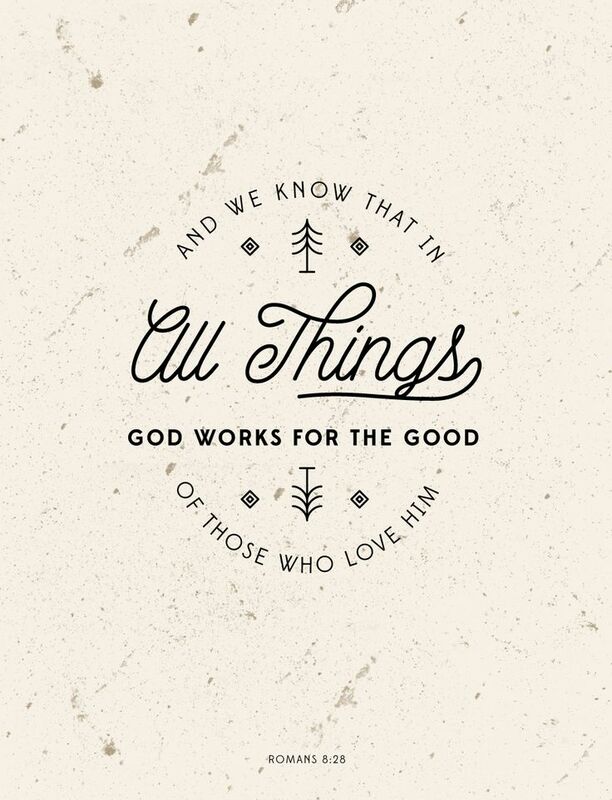 Remember, all things work together for good to them that love God, and to them that are called according to His purpose. Just stay tuned, and see how God will turn things around for you. 1. All things are working for my good in Jesus Name. What was intended to work against me will work for me. 2. Father, even in the tough situations of life, help me to trust wholly in your sovereign control. 3. Lord, I choose to make your opinion (you counsel, you purpose and your will) the ultimate in my life, Have your way Lord in Jesus Name.